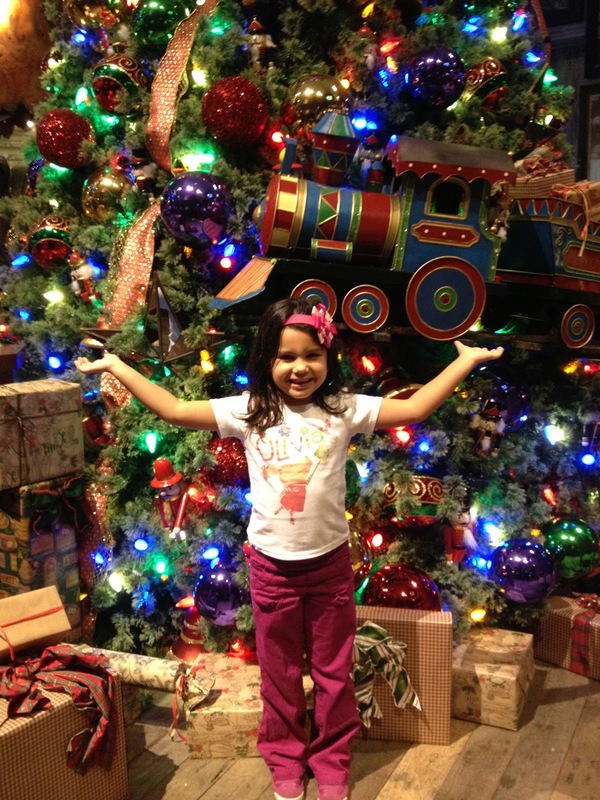 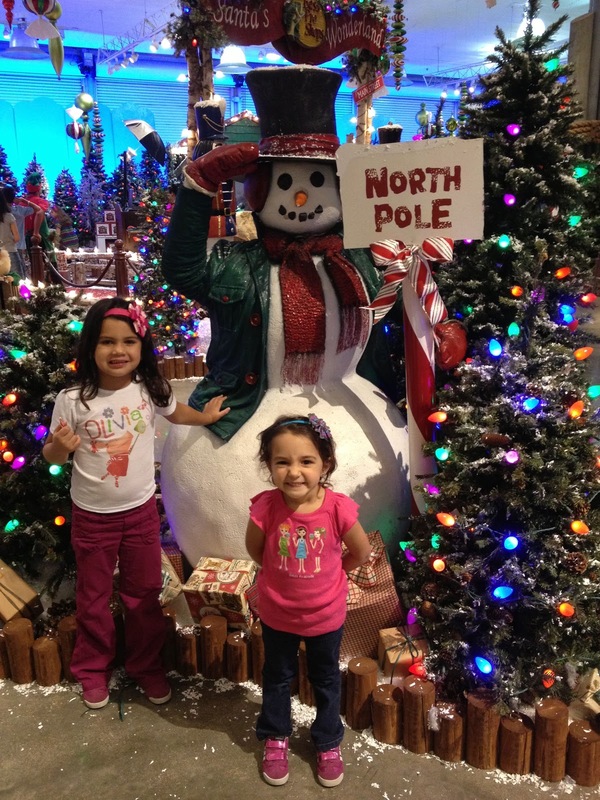 Stories Of A Happy Mom: It's never too early for Christmas!! 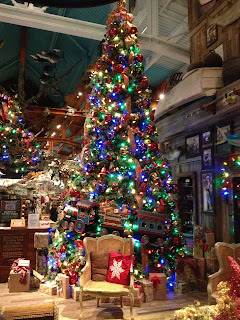 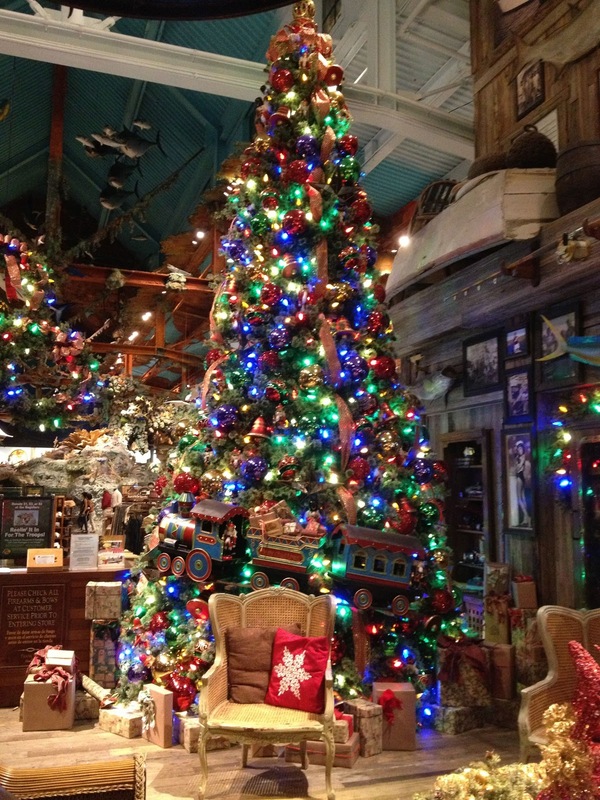 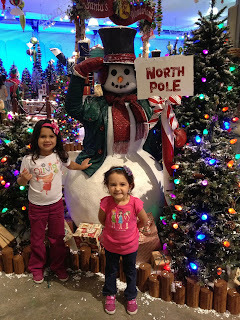 This weekend we paid a visit to Santa and the Christmas village at Bass Pro Shop... they always go all out with their decorations and the pictures with Santa are free... it doesn't get better than that! 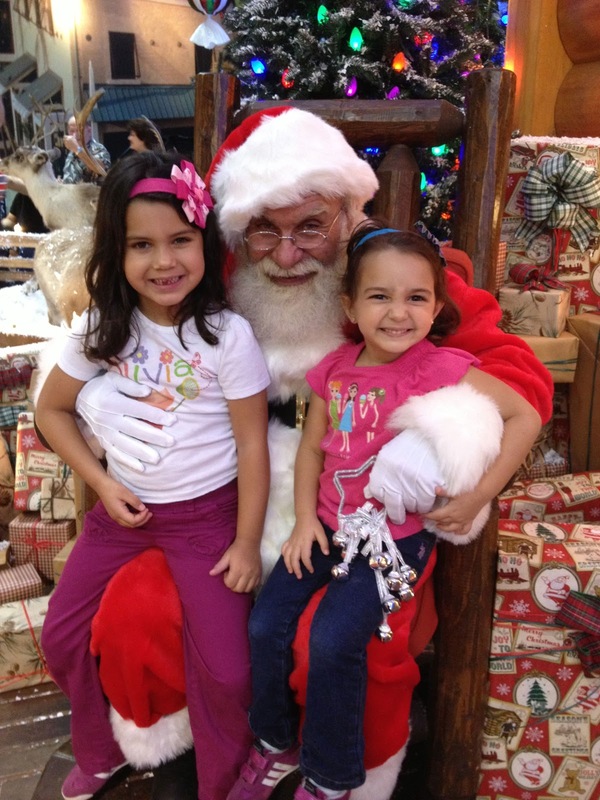 The girls had a serious conversation with Santa and they were very specific about their wishes for the holidays.. thankfully, they are very realistic and not very demanding so the list wasn't too long! 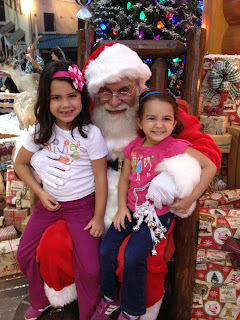 (lucky you, Santa).. it was very adorable to see them interact with him..absolutely awesome!